When we first arrived in Valladolid, we were greeted by the pastel colored walls and warm feel that this part of the Yucatan is known for. 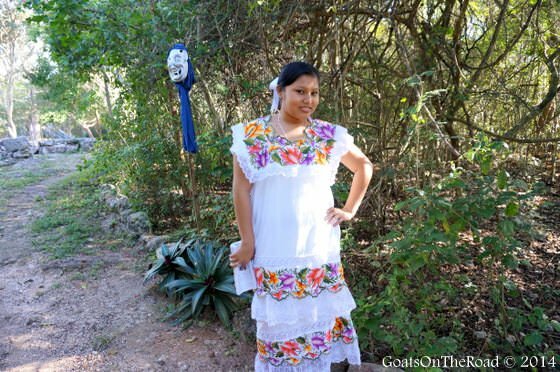 Here, the Maya culture dominates and it was immediately evident in the local attire. Women strolled the streets in colorful, embroidered shirts, while some men were even wearing cowboy hats and the Spanish style guayabera shirts. For our first 5 days in Valladolid, we have been generously hosted by Denis Larsen at his beautiful guest house, Casa Hamaca. 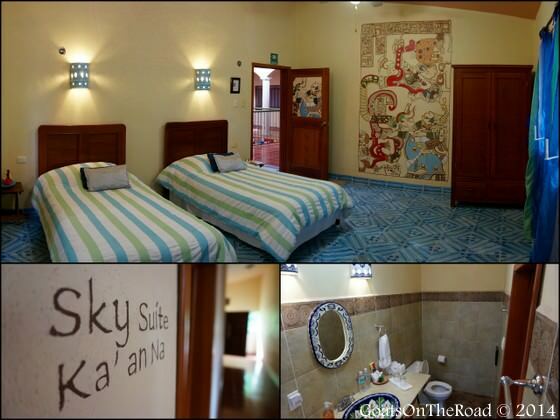 Just a short walk from the bus stop, this B&B is a jungle clad oasis, smack-dab in the middle of Valladolid town. Somehow, it feels miles away from the bustle of the streets, with tall swaying forest providing a wind rustled barrier from the excitement outside. As we entered, it felt like we were leaving the city and entering the jungle, but we were still just a few blocks from downtown! We are booked in the Jungle Suite and we couldn’t be happier with the room. Set on the second floor of the building, our room enjoys views of the wind-swept garden and a much-appreciated cool afternoon breeze. The interior is absolutely stunning. With a king-sized bed made from woven bamboo, a couch and work desk, the room is thoughtfully furnished using a mixture of Maya and modern stylings. 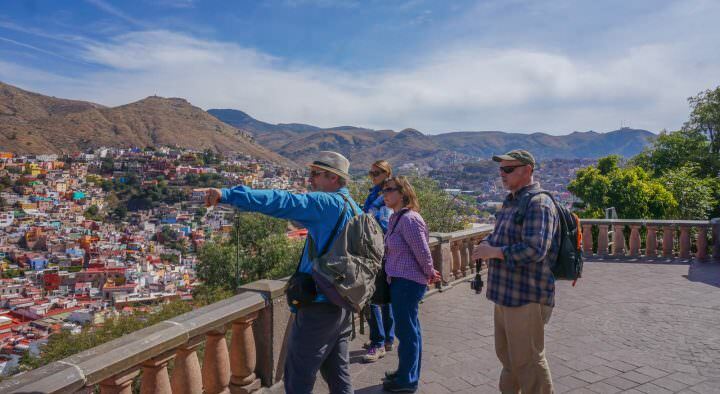 ☞ See Also: Things To Do in Mexico – A List of The Best 51! 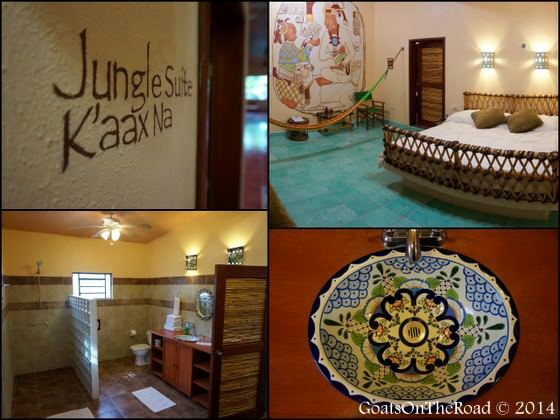 The Jungle Suite – We love our room! 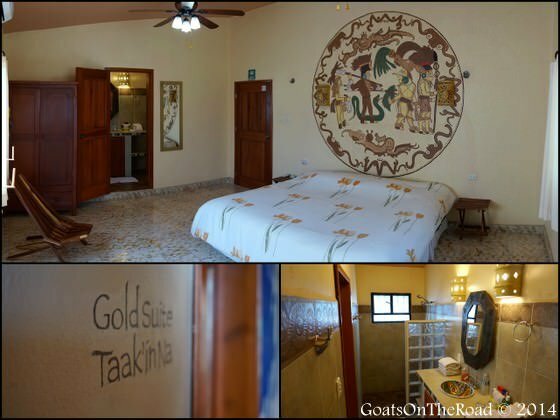 One wall of the room is dominated by an exquisite and fascinating Maya mural, and the rest of the 4 walls in the main area are tastefully decorated with local artistry and wood carvings. 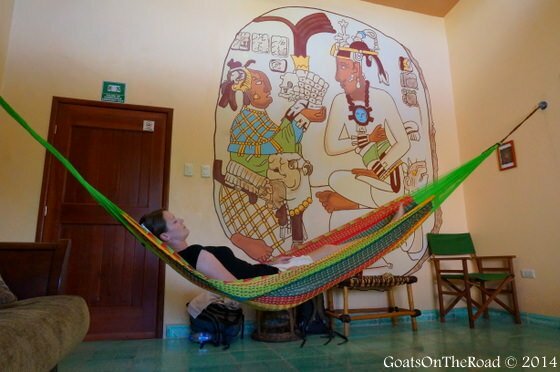 There’s even a brightly coloured hammock stretching across the room, perfect for those lazy afternoon siestas. The bathroom is big enough to be a room in itself and there is a shelving unit that covers an entire wall. 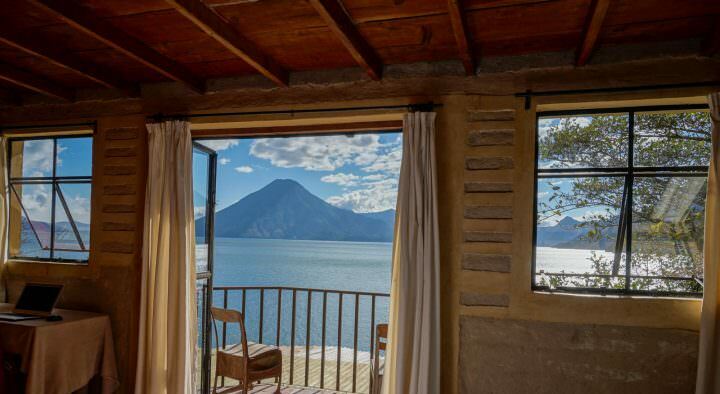 It’s safe to say that this is a beautiful hotel room, but it’s really not the room that makes Casa Hamaca so great. ☞ See Also: Things To Do in Playa del Carmen – The Top 21 Best! Looks nice, right?! 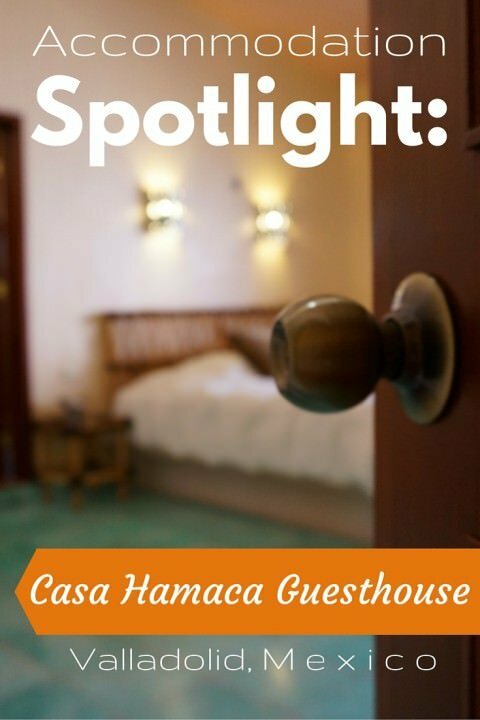 Click here to book a room at Casa Hamaca now. Denis runs the guest house as if it’s a homestay. During our stay there, many people came and went but all of them left feeling as though they knew Denis personally. 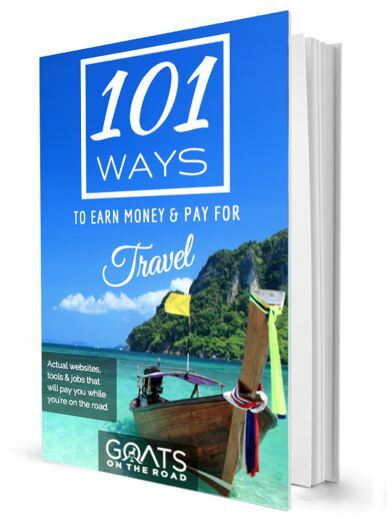 His motto: “Check in as a stranger; check out as a friend” is truly what he aims to achieve and his kind, gracious nature makes a stay here more than just a night’s sleep. He greets each guest as they come in and always takes the time to engage in thoughtful conversation. There is no “guest to owner” vibe here, just a friendly, honest man who is happy to have you stay in his home. 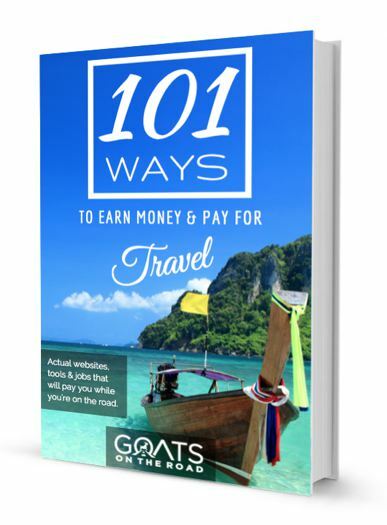 Denis is also a wealth of information and his knowledge of the local culture, sites and attractions is invaluable in itself. Beautiful rooms and family feel aren’t the only reasons to stay here. 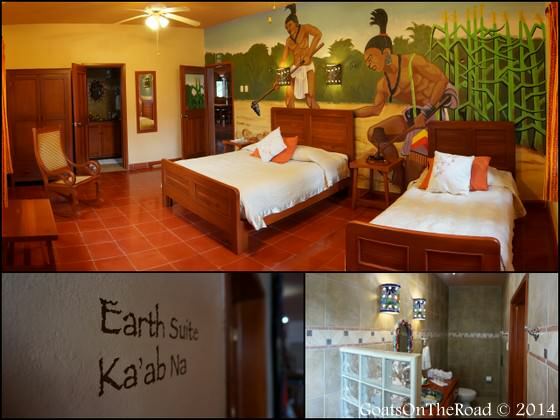 Denis uses proceeds from the guest house to help the local communities and employs Maya staff. He has built a library and an English school as well as promoted local shamanism by offering ceremonies and healings at nearby Maya villages. 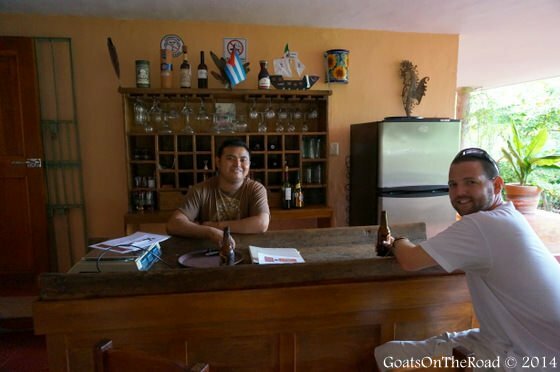 Any time we mentioned staying at Casa Hamaca to a local, they always smiled and gave their praise to Denis for his hard work in the community. 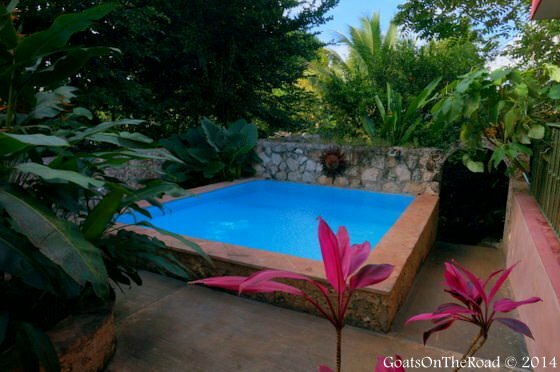 With eight rooms ranging from $70 – $150 in high-season, including a massive breakfast, Casa Hamaca definitely falls in the top-end category for this part of Mexico, but the rooms offer great value for money. Denis will even tell you where the best budget restaurants are and let you in on his secrets so you can feel like a local while you’re in Valladolid. We were honoured to stay at this B&B in Valladolid. 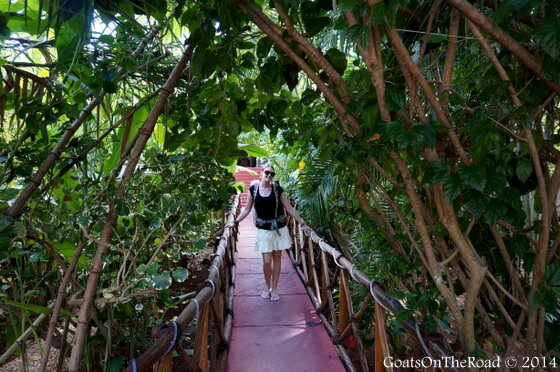 If you’re looking for peace, relaxation and good conversation, check out Casa Hamaca, it won’t disappoint. 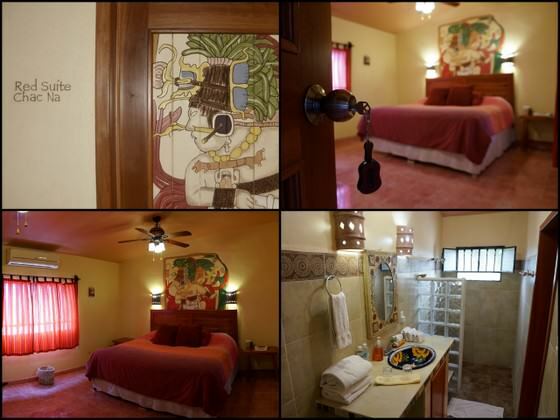 We loved our stay at Casa Hamaca and are sure that you will too! Click here to book a room now. 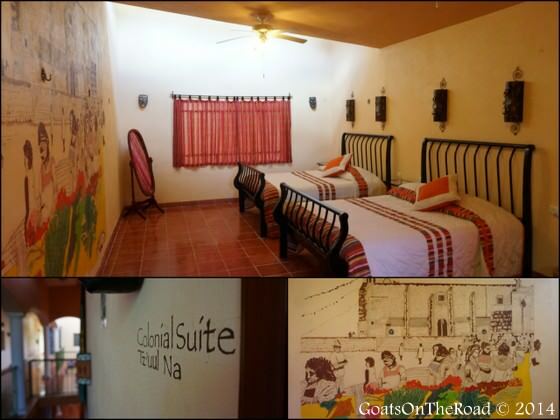 Have you ever stayed in a guesthouse with such a friendly feel?! Share with us below. 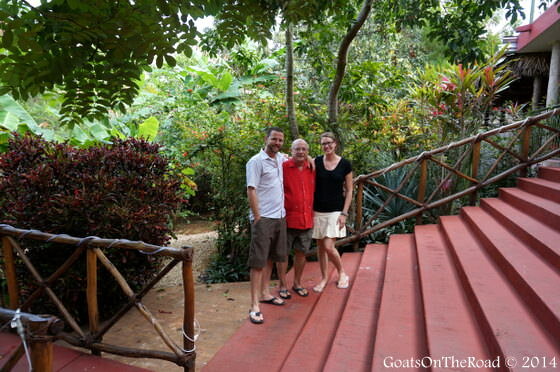 A special thanks to Denis at Casa Hamaca Guest House for hosting us for 4 nights during our stay in Valladolid. We were not asked to write a positive review and as always, all thoughts and opinions remain our own. Ooh, looks great! Definitely staying there if/when we get to Valladolid. It was great! Definitely check it out when you come here!